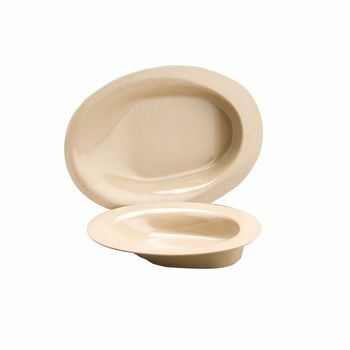 Manoy Contoured Plates - These melamine plates are designed to help those with one good hand or who have difficulty picking up food with utensils. They are oval in shape with a sloping bottom and high sided end to help scoop up food without spilling it over the side. 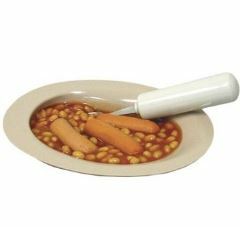 Not suitable for microwave ovens but dishwasher safe.